Christoph von Dohnányi is recognized as one of the world’s most distinguished conductors. He started his career as assistant to Sir George Solti in Frankfurt and after four years became the youngest General Music Director in Germany, in Lübeck in 1957. He was opera director and GMD at the Frankfurt Opera from 1968-1977 and Intendant and Chief Conductor at Hamburg State Opera from 1977- 1984. He was chief conductor at the WDR Sinfonie Orchestra in Cologne and the NDR Sinfonie Orchestra in Hamburg, as well as Principal Conductor and Artistic Advisor of the Philharmonia Orchestra in London, and Principal Guest Conductor and Musical Advisor of L’Orchestre de Paris. Maestro von Dohnányi served as sixth Music Director of the Cleveland Orchestra from 1984 to 2002, having been appointed Music Director Designate in 1982. He conducted the orchestra in numerous subscription concerts and in semi-staged concert version opera performances of Die Bassariden, Wozzeck, Das Rheingold, Die Walküre, and Siegfried at Severance Hall. He led the orchestra on domestic and international tours to Asia and Europe where they performed at all major festivals and cultural cities. Dohnanyi regularly led Cleveland Orchestra at Carnegie Hall and, in 1998, led the Orchestra on tour in China for the first time in history. Celebrating the Cleveland Orchestra’s 75th anniversary on tour, they presented a Beethoven cycle of 5 concerts in Tokyo’s Suntory Hall in 1993. He initiated a project conducting world premieres of composers from the Cleveland area. The renovation and the extension of Severance Hall, that brought back the Norton Memorial Organ to Cleveland’s musical life, the founding of the Cleveland Orchestra Youth Orchestra and Youth Chorus were all significant achievements during his era as Music Director. Upon ending his tenure as Music Director in Cleveland, he became the orchestra’s first Music Director Laureate in 2002. Dohnányi recorded numerous works with the Cleveland Orchestra: CD releases by Decca feature wide ranging repertoire with works by Mozart, Mahler, Bruckner, Dvorak, Strauss, Ives, Varese, Bartok, Adams, Ruggles, Webern, Ran, Shostakovich and all the Schumann symphonies. A compilation of all Beethoven symphonies was recorded by Telarc, and a collection of all Brahms symphonies by Teldec. Opera recordings include Wagner’s Das Rheingold and Die Walküre. Live radio broadcast recordings were released by the Cleveland Orchestra, one set in celebration of the orchestra’s 75th anniversary and one box commemorating Dohnányi’s 20 years as Music Director. Since ending his tenure in Cleveland, Christoph von Dohnányi has been a frequent guest conductor with the Boston Symphony, New York Philharmonic, Philadelphia Orchestra, Pittsburgh Symphony, Chicago Symphony and Los Angeles Philharmonic, as well as the Cleveland Orchestra. Maestro von Dohnányi is Honorary Conductor for Life of the Philharmonia Orchestra. This longstanding partnership began in 1994 when he was appointed Principal Guest Conductor and subsequently became Principal Conductor and Artistic Advisor. In addition to concerts at the South Bank Centre and in venues around England, Dohnányi and the Philharmonia performed in Europe’s musical centers like the Musikverein in Vienna, the Salzburg Festival, Amsterdam’s Concertgebouw, the Lucerne Festival, and in Paris at the Théâtre des Champs Elyseés. For several seasons, they were in residence at the Théâtre du Châtelet presenting new productions of Strauss’s Die Frau ohne Schatten, Die schweigsame Frau and Arabella, Schoenberg’s Moses und Aron, Stravinsky’s Oedipus Rex and Humperdinck’s Hänsel und Gretel. His final tour as Principal Conductor of the Philharmonia led them to the U.S., with concerts in Miami’s Adrienne Arsht Center for the Performing Arts, at the Walt Disney Concert Hall in Los Angeles, Davies Symphony Hall in San Francisco, and at the Orange County Performing Arts Center. In summer seasons, Maestro von Dohnányi is a frequent guest at the Tanglewood Music Festival leading concerts with the Boston Symphony Orchestra including, among many others, the opening concert of the 75th anniversary season of Tanglewood. He conducted the Tanglewood Music Center’s 2010 production of Ariadne auf Naxos and in 2013, a performance with the Tanglewood Music Center Orchestra of Mahler’s Symphony No.1. At the Ravinia Festival, he led the Chicago Symphony in two all Brahms programs in 2011 with pianist Emanuel Ax. On May 8, 2016, he led a special concert marking the end of World War II in Europe, leading the Vienna Symphony Orchestra in Schoenberg’s A Survivor of Warsaw with Thomas Hampson and Beethoven’s “Eroica”. Mo. von Dohnányi toured with the Philharmonia Orchestra in Europe and conducted the gala concert in London celebrating the orchestra’s 70th anniversary. He recently conducted the Staatskapelle Berlin, the NDR Sinfonieorchestra in the Elbphilharmonie in Hamburg and, for the first time in 30 years, a subscription week with the BR Sinfonieorchester in Herkulessaal in Munich. Upcoming guest conducting engagements include L’Orchestre de Paris, Tonhalleorchester Zürich, Vienna Philharmonic Orchestra, and the NDR Elbphilharmonie Orchester. His conducting schedule permitting, Maestro von Dohnányi also works with student orchestras of institutions like the New England Conservatory in Boston, Curtis Institute in Philadelphia, the Juilliard School in New York, the Cleveland Institute of Music and, during the summer, at the Tanglewood Music Center. In November 2013, exceptional events marked his collaboration with the Philharmonia. By invitation of HRH Prince Charles, they performed a birthday concert in Buckingham Palace with an all Wagner program, honoring the composer’s 200th birthday. The University of London held a ceremony bestowing on Dohnányi the degree of Doctor of Music, honoris causa, by the Royal Academy of Music. He has been a frequent guest conductor in concert with the Vienna Philharmonic and at the Vienna State Opera. Herbert von Karajan and his successor Gerard Mortier invited him to the Salzburg Festival. There he led the Vienna Philharmonic in productions of Der Rosenkavalier, Salome, Cosi fan Tutte, Schoenberg’s Erwartung, Bartok’s Bluebeard’s Castle, Die Zauberflöte, and in Gerard Mortier’s final season Ariadne auf Naxos, and in the world premieres of Henze’s Die Bassariden and Cerha’s Baal. He also led the Cleveland Orchestra in concerts at the Große Festspielhaus and Felsenreitschule in Salzburg. For London/Decca he recorded with the Vienna Philharmonic a variety of symphonic works by Schubert, Strauss, Dvorak, Tchaikovsky, all Mendelssohn symphonies and a number of operas, including Beethoven’s Fidelio, Berg’s Wozzeck and Lulu, Schoenberg’s Erwartung, Strauss’ Salome, and Wagner’s The Flying Dutchman. During opera director Alexander Pereira’s tenure Dohnanyi regularly appeared at the Opernhaus Zurich conducting new productions of Strauss’s Die Schweigsame Frau, Ariadne auf Naxos, Salome, Elektra, Die Frau ohne Schatten, Stravinsky’s Oedipus Rex and Bartók’s Bluebeard’s Castle, Mozart’s Idomeneo, Verdi’s Un ballo in maschera, Berg’s Wozzeck, Schoenberg’s Moses und Aron and Wagner’s The Flying Dutchman. Maestro von Dohnányi has conducted at the world’s great opera houses, including Covent Garden, La Scala, the Vienna State Opera, Berlin, Paris, and in the US at the Metropolitan Opera, San Francisco Opera and Lyric Opera in Chicago. At the Vienna State Opera he conducted the new production of the Ring des Nibelungen in 1992/93. At the Deutsche Oper Berlin he led the first performance of Henze’s Der junge Lord. Herbert von Karajan invited him regularly to conduct the Berlin Philharmonic Orchestra. He was invited by Wieland Wagner to conduct Tannhäuser und Die Meistersinger von Nürnberg at the Bayreuth Festival, however, after Wieland Wagner’s death these contracts were not realized. 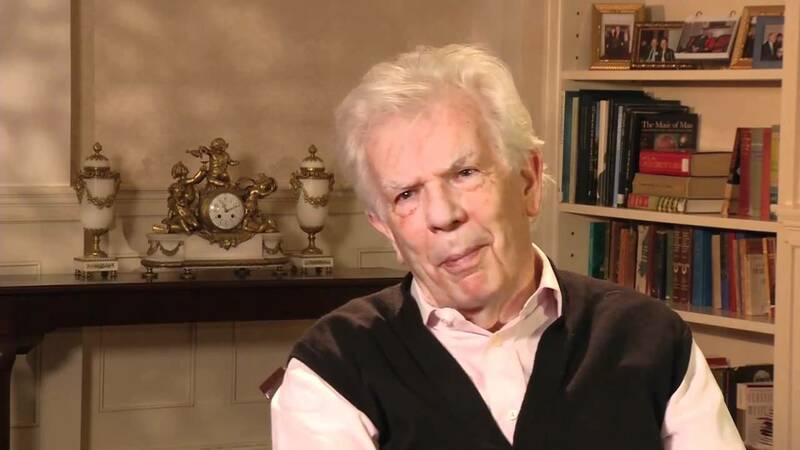 Christoph von Dohnányi was born in Berlin in 1929 and studied music in Munich, finishing his studies at the Hochschule für Musik with the award of the Richard Strauss prize of the City of Munich; and at Florida State University with his grandfather, pianist and composer Ernst von Dohnányi. He completed his studies in the US by attending a conducting class at Tanglewood in 1952. Among his many honors Christoph von Dohnányi has received honorary doctorates of Music from the Eastman School of Music in Rochester, Oberlin College of Music, Cleveland Institute of Music, Kent State University, and Case Western Reserve University, London’s Royal Academy of Music, and an honorary Doctorate in Humane Letters from the Hebrew Union College – Jewish Institute of Religion, and the Anti-Defamation League’s Torch of Freedom Award. He is the recipient of the Goethe plaque of the city of Frankfurt, the prize of Wissenschaft and Forschung of the city of Hamburg and the Bartok medal in Hungary. He is a member of the Order of Arts and Letters of France, and received the Verdienstkreuz of the Republic of Austria and the Bundesverdienstkreuz of the Bundesrepublik Deutschland. Christoph von Dohnányi talks to the Philharmonia’s Principal Percussionist David Corkhill about his career as a conductor; in advance of his 80th birthday celebrations and concerts. Music Director Laureate for Life Christoph von Dohnányi discusses the musical qualities that make the Cleveland Orchestra an extraordinary ensemble. A clip of the film, “Christoph von Dohnányi: In Rehearsal”, of the Haydn Symphony No. 88 with the London Philharmonia Orchestra, distributed in the US by Naxos.